When you’re out on the road traveling the world in your recreational vehicle, you want and need a reliable source of power to keep things running smoothly and to keep everyone comfortable. 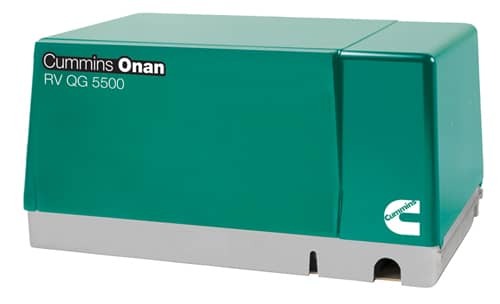 Diesel generators deliver the quietest and most reliable power available on the market today. RV diesel generators are designed to provide maximum convenience and comfort for all types of motorized recreational vehicles. When you’re outfitting your recreational vehicle for the road, you'll want to ensure you have the right equipment that handles the smallest and biggest jobs. Whether you’re on the road to adventure or parked in a camping spot, you need power you can depend on to keep you cool in the summer, warm in the winter, power your appliances and accessories, and keep the lights on at night. Colorado Standby’s RV diesel generators won’t let you down when you need power any time of the day or night, whether you’re cruising through the desert or camped beside a crystal clear mountain lake. Colorado Standby has the largest inventory of RV diesel generators for sale available. We offer fast, free shipping, and can handle the installation, setup, initial operation, service, and maintenance of your diesel RV generator.